Three customers will be able to access Virgin Media’s London Underground WiFi service free of charge from the end of July. The operator is the last to sign such a deal after O2, EE and Vodafone. Three customers will be able to access the service at 137 stations that are currently live on the network, ranging from Piccadilly Circus to Putney Bridge and Lancaster Gate to Leyton. Danny Dixon, director of customer strategy at Three, said customers should benefit from the move as they can remain connected while travelling around the capital. “Giving our customers access to free WiFi on the London underground is another step towards them being able to enjoy the benefits of being connected no matter where they are,” he said. Virgin Media also revealed it is adding seven more stations to the network, including Shepherd’s Bush and West Brompton. The other five stations are Bow Road, Ealing Broadway and Edgware Road on the Bakerloo line, Hammersmith on the Hammersmith & City line, and Harrow-on-the-Hill. They will be live in a week’s time, the firm said. 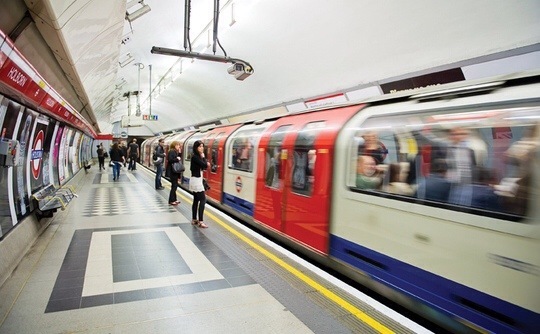 Gareth Powell, London Underground’s director of Strategy and Service Development for London Underground, said bringing the last major operators on board was just another step in the journey for the service. “We’re delighted that another mobile operator is on board because it means more of our customers benefit from live travel information, news and social media throughout the majority of our stations,” he said. Virgin Media launched the WiFi service just before the Olympic Games, with the firm seeing eight million connections, from a total of 443,000 users, during the two-week period. This entry was posted in IT and tagged chrismacgowan, christopher macgowan, London Underground, Three, V3, Virgin Media, WiFi. Bookmark the permalink.